Draft: 2010, Los Angeles Dodgers, 21st rd. Noel A. Cuevas … son of Noel Cuevas and Enid Bermudez … has two younger brothers, Christian and Ricardo … resides in Camuy, Puerto Rico, in the offseason ... Started playing baseball at the age of four ... Went to high school with Francisco Lindor ... In his free time, he enjoys photography, the beach and mountain biking ... Attended Montverde Academy in Clermont, Fla. … played one collegiate baseball season with Universidad Interamericana in Arecibio, Puerto Rico ... Earned a bachelor's degree in business with a financial planning certificate from the University of Phoenix. Made his Major League debut on April 22 vs. Chicago-NL, starting in right field ... Played in 75 games across two stints for the Rockies and batted .233 (34-for-146) with 16 runs, four doubles, one triple and two home runs … recorded his first career home run on May 14 at San Diego ... Hit a go-ahead three-run home run on July 7 at Seattle in the seventh inning off James Paxton in a 5-1 win ... Batted .331 (53-for-160) with 17 runs, 10 doubles, four triples and five home runs in 44 games for Triple-A Albuquerque. Played his first full season in Triple-A and was named a Mid-Season All-Star...Played a career-high 128 games and batted .312 (154-for-493) with 79 runs, 17 doubles, 12 triples, 15 home runs, 79 RBI, 25 walks and 102 strikeouts...Ranked second in the Pacific Coast League and led Albuquerque with 12 triples … also led the Isotopes with 154 hits, the third-most in the PCL … his .312 batting average ranked second on the Isotopes, and the 79 RBI and .487 slugging percentage ranked third...Was the first of four Minor League players to record at least 10 doubles, triples and home runs...Became the seventh player in Isotopes history to record at least 150 hits...Named a Mid-Season All-Star for the first time at any level … went 1-for-1 in the Triple-A All-Star Game. Played in 44 games with Triple-A Albuquerque, batting .234 (32-for-137) before being sent to Double-A Hartford where he played for the remainder of the season and batted .340 (66-for-194)...Named Eastern League Player of the Month of July after batting .425 (37-for-87) with seven doubles, one triple, two home runs, 14 RBI, a .440 on base percentage and a .598 slugging percentage...Earned the Eastern League Player of the Week for the week of July 11-17, where he batted .692 (9-for-13) with one home run, three RBI, five runs scored, two walks and a .923 slugging percentage in four games. Appeared in 112 games with Double-A New Britain in his first season in the Rockies organization...His stolen base total of 31 was second to his career high of 38 from 2013...Was second in the Eastern League with 31 stolen bases, caught 12 times...His 51 RBI were second on the club and he was in the top three on the club in runs, hits and doubles. Reached Dodgers' Double-A level for the first time, tying for third in the league with nine triples for Chattanooga...Spent the season as the club's starting center fielder. Batted .284 (135-for-476) with 12 home runs, 66 RBI and 10 triples in 123 games for High-A Rancho Cucamonga...En route to a Cal League All-Star game selection, batted .306 (70-for-229) over 60 games in the first half … hit .366 (34-for-93) in May with five doubles, five triples, three homers and 24 RBI in 26 games...Finished second on the team with 38 stolen bases and was tied for the team lead with 11 sacrifice flies. Had three stops in the Dodgers' Minor League system, and batted .340 (17-for-50) in 13 games to finish the year with Rookie Level Ogden...Began the year at Low-A Great Lakes, hitting .227 before being sidelined with a hand injury … transferred to the Arizona League Dodgers, where he hit .295 (26-for-88) in 23 games before the promotion to the Pioneer League...Hit safely in 11 of 13 games with Ogden, including a five-hit performance Aug. 30. In his first full professional season, began the year with High-A Rancho Cucamonga, playing in 23 contests...Played in 60 games after transfer to Ogden, ranking third on the team with 29 extra-base hits. Played in only three games in the Arizona League after the Major League Baseball First-Year Player Draft. April 16, 2019 Colorado Rockies placed RF Noel Cuevas on the 10-day injured list. Strained left quad. April 15, 2019 Colorado Rockies recalled RF Noel Cuevas from Albuquerque Isotopes. 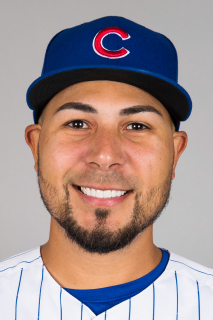 March 25, 2019 OF Noel Cuevas assigned to Albuquerque Isotopes. March 18, 2019 Colorado Rockies optioned RF Noel Cuevas to Albuquerque Isotopes. November 14, 2018 OF Noel Cuevas assigned to Indios de Mayaguez. September 1, 2018 Colorado Rockies recalled RF Noel Cuevas from Albuquerque Isotopes. July 29, 2018 Colorado Rockies optioned RF Noel Cuevas to Albuquerque Isotopes. April 22, 2018 Colorado Rockies recalled Noel Cuevas from Albuquerque Isotopes. March 23, 2018 Colorado Rockies optioned RF Noel Cuevas to Albuquerque Isotopes. December 16, 2017 Caneros de los Mochis placed OF Noel Cuevas on the reserve list. November 6, 2017 Colorado Rockies selected the contract of Noel Cuevas from Albuquerque Isotopes. October 20, 2017 OF Noel Cuevas assigned to Caneros de los Mochis. June 26, 2017 Albuquerque Isotopes activated RF Noel Cuevas from the 7-day disabled list. June 22, 2017 Albuquerque Isotopes placed CF Noel Cuevas on the 7-day disabled list retroactive to June 19, 2017. April 2, 2017 CF Noel Cuevas assigned to Albuquerque Isotopes from Hartford Yard Goats. February 2, 2017 Colorado Rockies invited non-roster OF Noel Cuevas to spring training. November 28, 2016 OF Noel Cuevas assigned to Tiburones de Aguadilla. October 8, 2016 Salt River Rafters placed CF Noel Cuevas on the reserve list. July 4, 2016 CF Noel Cuevas assigned to Hartford Yard Goats from Albuquerque Isotopes. May 8, 2016 OF Noel Cuevas assigned to Albuquerque Isotopes from Grand Junction Rockies. April 4, 2016 OF Noel Cuevas assigned to Grand Junction Rockies. February 11, 2016 Colorado Rockies invited non-roster LF Noel Cuevas to spring training. April 8, 2015 OF Noel Cuevas assigned to New Britain Rock Cats. December 16, 2014 Los Angeles Dodgers traded CF Noel Cuevas to Colorado Rockies. April 3, 2014 Noel Cuevas assigned to Chattanooga Lookouts from Rancho Cucamonga Quakes. March 8, 2014 OF Noel Cuevas assigned to Los Angeles Dodgers. October 31, 2013 OF Noel Cuevas assigned to Indios de Mayaguez. April 2, 2013 OF Noel Cuevas assigned to Rancho Cucamonga Quakes from Ogden Raptors. March 17, 2013 OF Noel Cuevas assigned to Los Angeles Dodgers. August 23, 2012 Noel Cuevas assigned to Ogden Raptors from Great Lakes Loons. August 2, 2012 sent OF Noel Cuevas on a rehab assignment to AZL Dodgers. June 21, 2012 sent OF Noel Cuevas on a rehab assignment to AZL Dodgers. May 23, 2012 Noel Cuevas roster status changed by Great Lakes Loons. April 2, 2012 OF Noel Cuevas assigned to Great Lakes Loons from Ogden Raptors. March 23, 2012 OF Noel Cuevas assigned to Los Angeles Dodgers. October 31, 2011 OF Noel Cuevas assigned to Criollos de Caguas. June 29, 2011 Noel Cuevas assigned to Ogden Raptors from Rancho Cucamonga Quakes. May 23, 2011 Noel Cuevas assigned to Rancho Cucamonga Quakes from AZL Dodgers. March 23, 2011 OF Noel Cuevas assigned to Los Angeles Dodgers. August 17, 2010 Noel Cuevas assigned to AZL Dodgers from Los Angeles Dodgers. August 16, 2010 Los Angeles Dodgers signed OF Noel Cuevas.